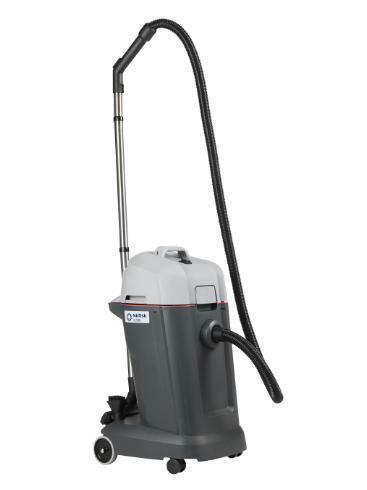 The VL500 series of wet and dry vacuum cleaners is offering performance and reliability that ensure low total cost of ownership and at the same time, has features making daily cleaning tasks easier, faster and safer. VL500 is ideally suited for hotels, contract cleaners, education, exhibition and conference centers as well as public buildings, manufacturing and industrial applications. A failsafe filter design makes operation easy due to the ability to have individual wet and dry filters working simultaneously. Each filter is specific for either a wet or dry application ensuring maximum performance. With the special dual filtration system, Nilfisk VL500 can be used in whatever environment, wet or dry, without the need to change filters. The unique design and features of VL500 is developed in partnership with Nilfisk customers. VL500 is available in different configurations and various container sizes; 35, 55 and 75 liter.